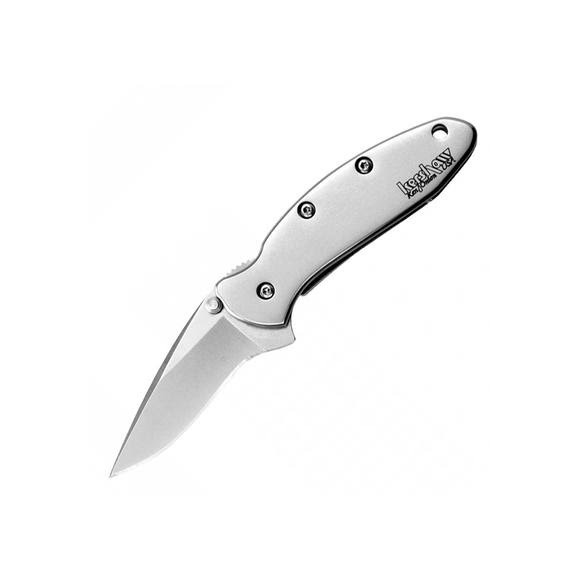 The Chive series features Kershaw's SpeedSafe ambidextrous opening system for smooth, easy opening by both right and left handed users. Closed, the Chive is less than three inches long: perfect for pocket carry. The blade is high carbon 420HC stainless steel for good edge retention, easy resharpening and excellent toughness. The Chive series features Kershaw &apos;s SpeedSafe ambidextrous opening system for smooth, easy opening by both right and left handed users. Closed, the Chive is less than three inches long: perfect for pocket carry. The blade is high carbon 420HC stainless steel for good edge retention, easy resharpening and excellent toughness. Chives also feature the Safety Tip Lock to ensure the blade stays securely inside the handle until the user releases it, and a removable pocket clip for easy carrying. The Chive may be the smallest member of the &apos;Onion&apos; family, but it&apos;s got all the advanced features knife users demand. Many of our models that come with clips can be kept all the way inside your pocket, as in rolling around the bottom of your pocket. It can also be used as a money clip. This clip may be removed if you choose.